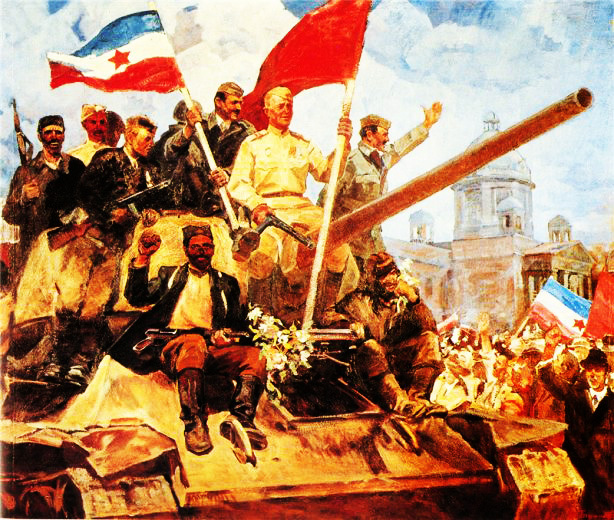 The Comintern (SH) sends militant revolutionary greetings to the Yugoslav Section, to the proletariat of former Yugoslavia and to the Yugoslav peoples on occasion of this great historical event. 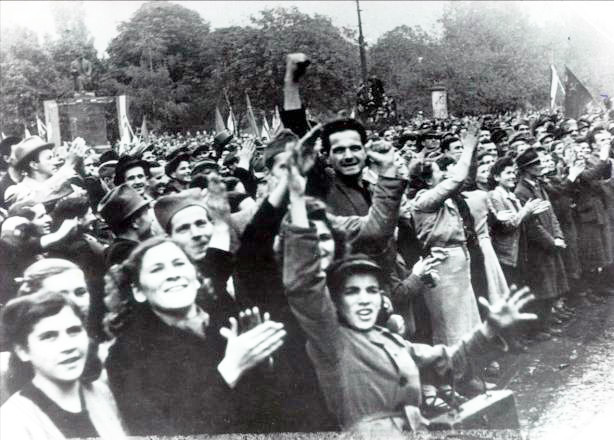 The victory over Hitler fascism will encourage all the former Yugoslav peoples to liberate from all inner and outer enemies, to overthrow the bourgeoisie in the own countries and to remove the imperialists from the territory of Yugoslavia. 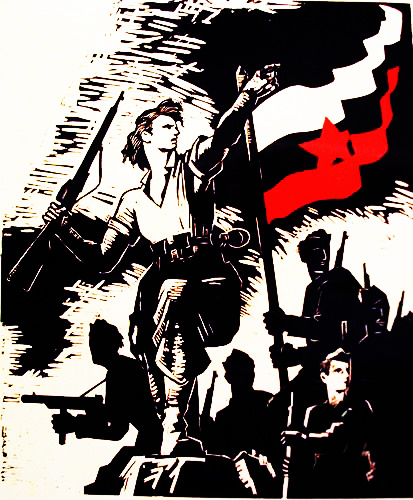 Long live the united socialist revolution in the countries of the former Yugoslavia ! 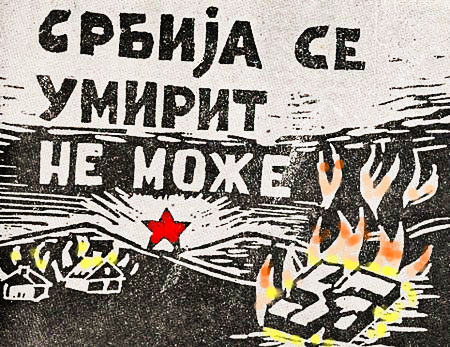 Long live the re-united, independent and socialist Yugoslavia in a socialist world ! 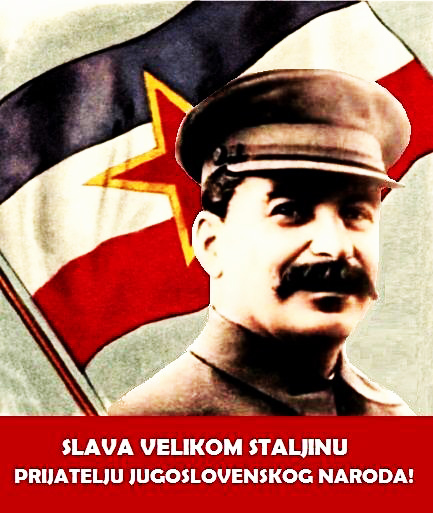 Long live the Comintern (SH) and her Yugoslav Section ! 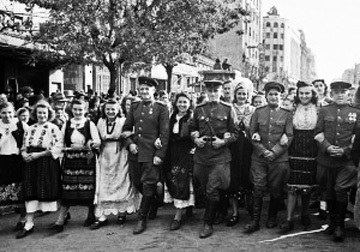 "our troops rendered direct assistance to our ally, Yugoslavia, in expelling the Germans and liberating Belgrade"
"After the destruction of the General Staff of the Yugoslav partisans by German paratroops, as the liberation movement of the people in Yugoslavia was going through a crisis, the Soviet army came to the peoples of Yugoslavia to help, broke the resistance of the German occupying forces and liberated Belgrade, thus creating the conditions, thanks to which the Yugoslav Communist Party was able to take the helm. " 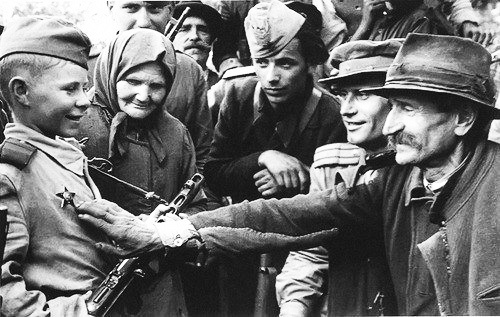 "I understand the difficulties of your situation after the liberation of Belgrade. 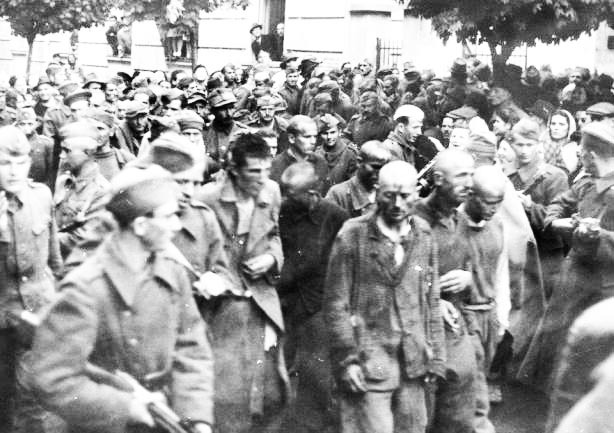 But you must also know that the Soviet government is doing everything possible to help you, regardless of the victims and enormous losses. 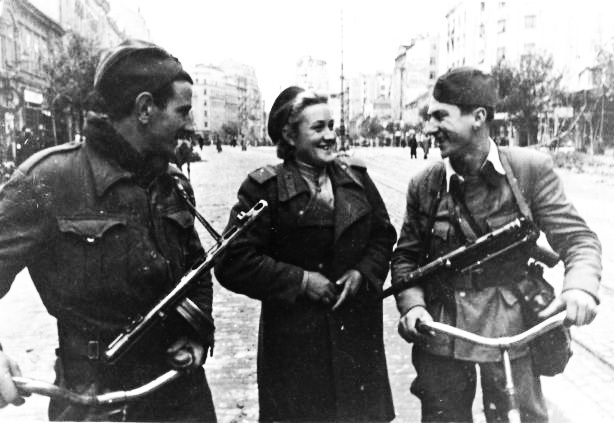 "I understand the difficulties of your situation after the liberation of Belgrade. 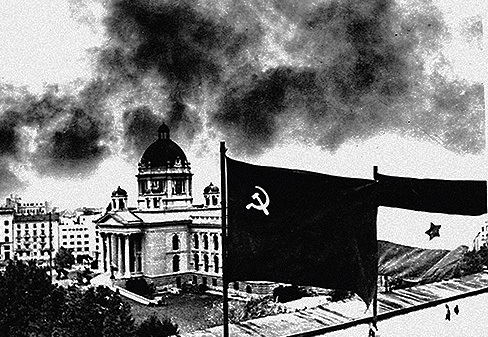 But you must also know that the Soviet government is doing everything possible to help you, regardless of the victims and enormous losses. 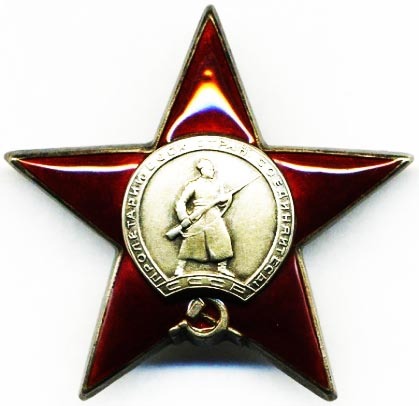 I wonder about the fact that certain incidents and the failure of some Soviet officers who are fighting in the Red Army, had been exaggerated to a degree of generalized claims against the entire Red Army. 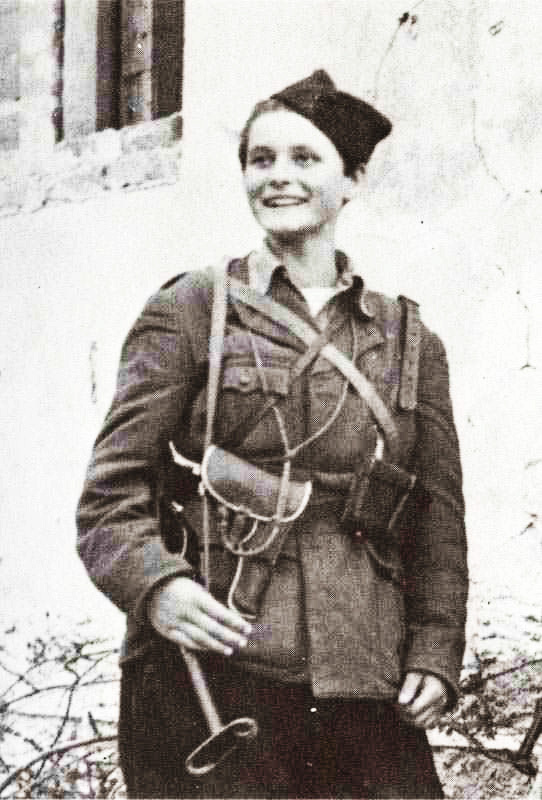 It is not acceptable, to offend an army that helped to drive out the Germans and that spilled her blood in the struggle against the German conquerors. 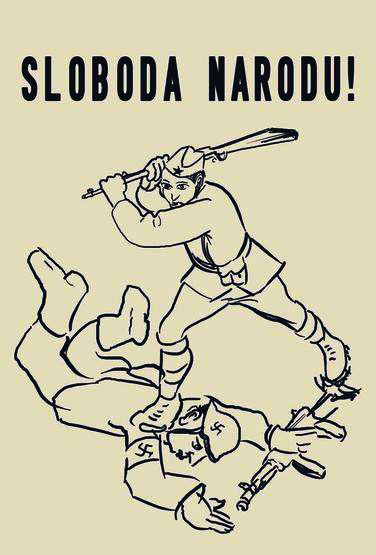 It is not difficult to understand that there is no family without any wayward member, but it would be strange to insult at a family because of a wayward. 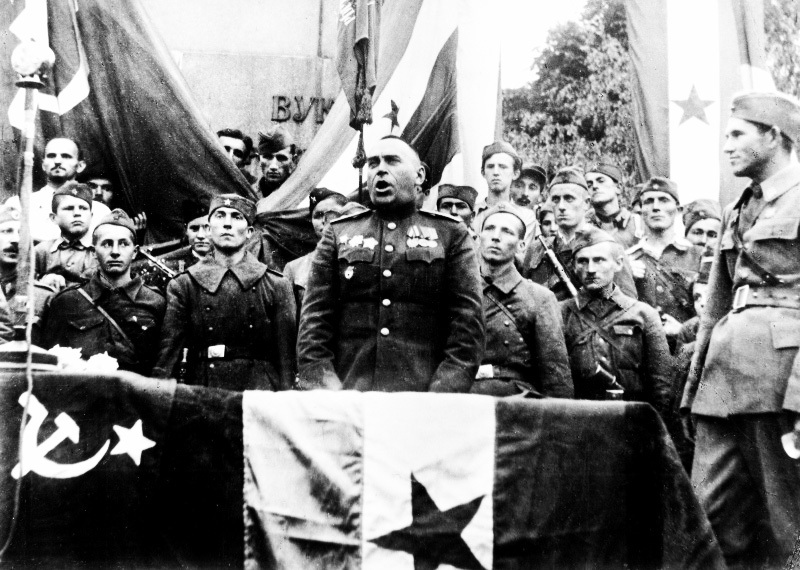 If the members of the Red Army hear that Comrade Djilas, and all those who did not contradict him, regarded the British officers as morally higher than the Soviet officers, then they will defend themselves against so undeserved insults loudly." 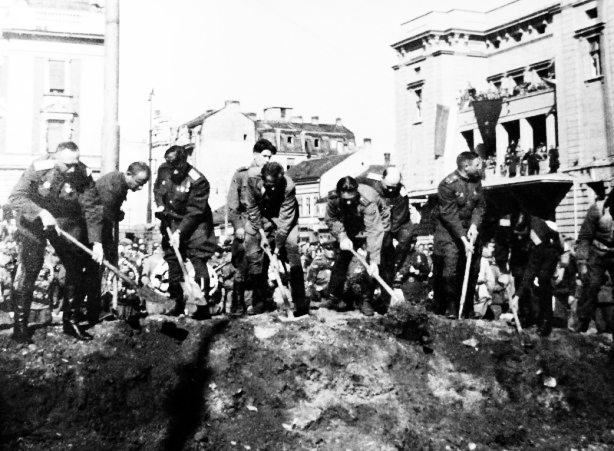 to develop along the road of socialist construction. 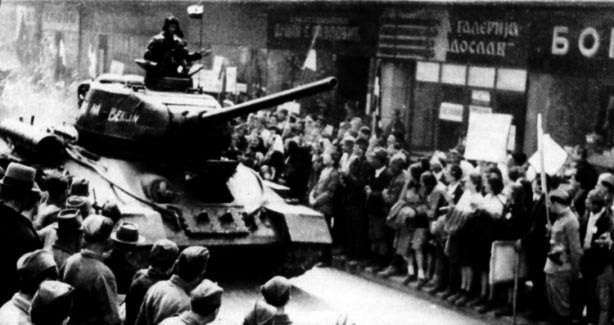 The leaders of the Communist Party of Yugoslavia, blinded by their nationalism, have tried to deny the liberating role of the Soviet army and have despised its military art. 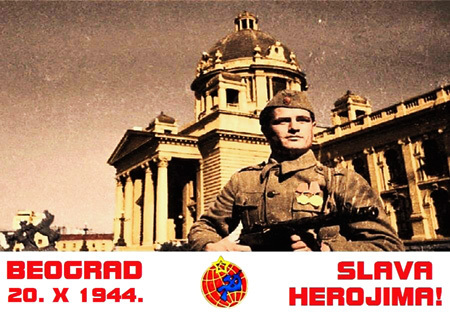 in the Yugoslav Communist Party and army, towards the Soviet Union and her glorious army. 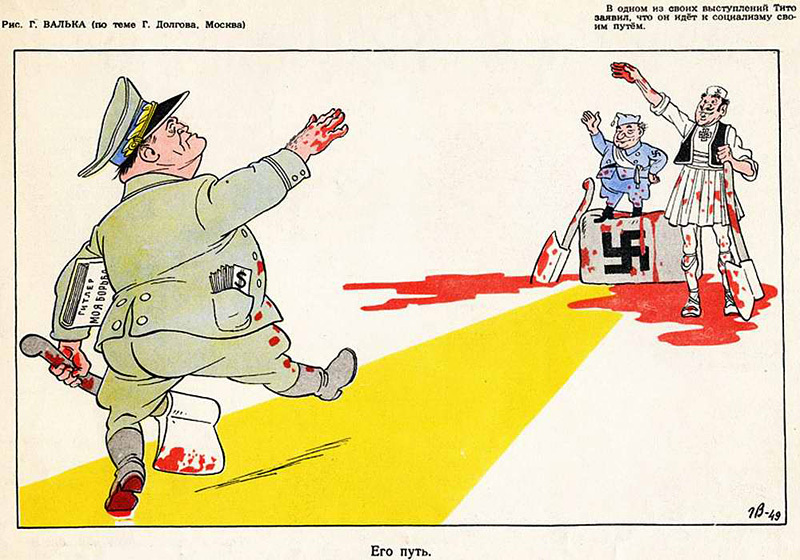 The Anglo-American imperialists and all world reaction are doing the same thing. 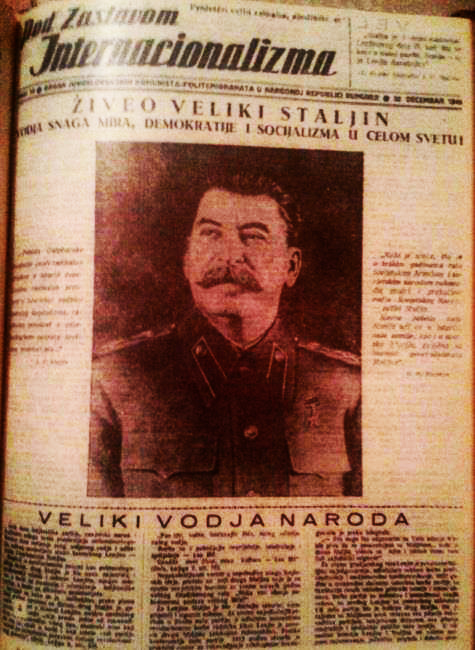 These anti-Marxist views have placed the treacherous leaders of the Communist Party of Yugoslavia in opposition to the unity of the world socialist camp. 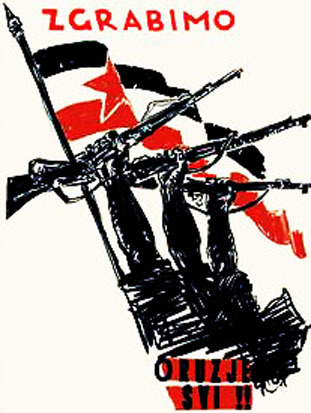 They have tried by every means to weaken and destroy this unity, to weaken the socialist camp itself and the anti-imperialist and democratic front of the people in the world. 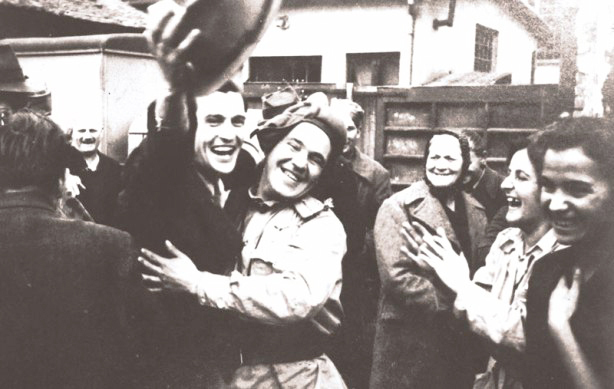 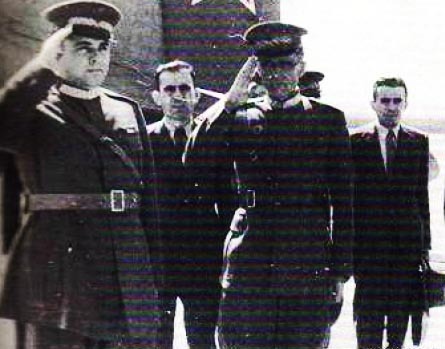 The leaders of the Communist Party of Yugoslavia, with Tito at the head, have allowed their party to adopt forms of organization and methods of work which aimed at and resulted in the elimination of inner party democracy, the suppression of criticism and self-criticism, the introduction of military methods of leadership into the party, the cult of hero-worship according to the Narodnik view, the introduction of a sense of fear into the party, keeping the party in illegality, and parallel with all this, the merger of the party with the Front and its transformation into a party of the bourgeoisie and kulaks. 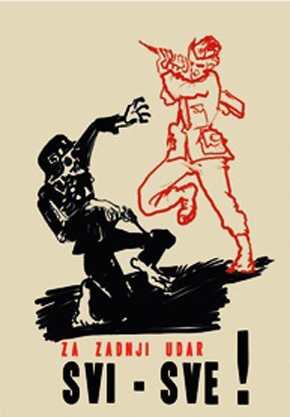 Pursuing an opportunist policy towards the capitalist elements, they have moderated the class struggle in the countryside, according to the Bukharinite theory that in the period of transition from capitalism to socialism, class struggle is not intensified, but dies down. 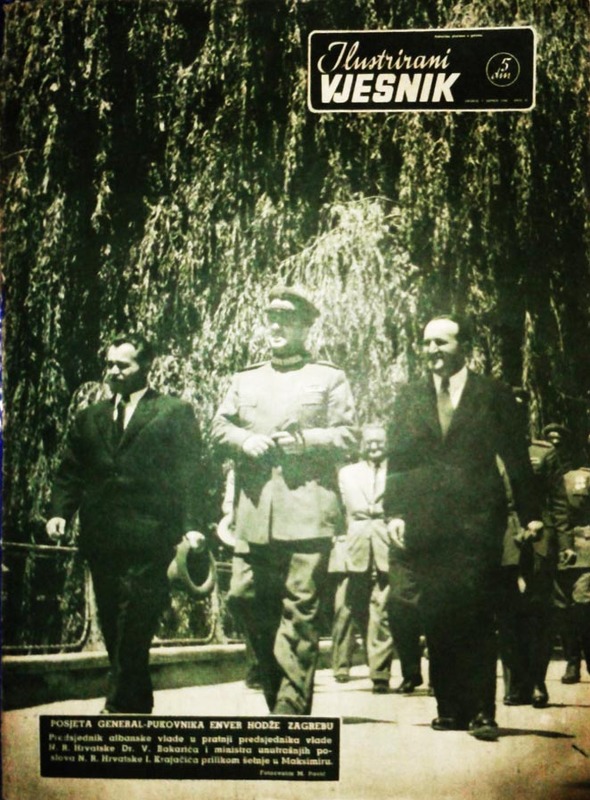 The aim of all this treacherous activity is to make the People’s Federal Republic of Yugoslavia degenerate into a republic of the bourgeois type, and the Communist Party of Yugoslavia degenerate into a revisionist party." 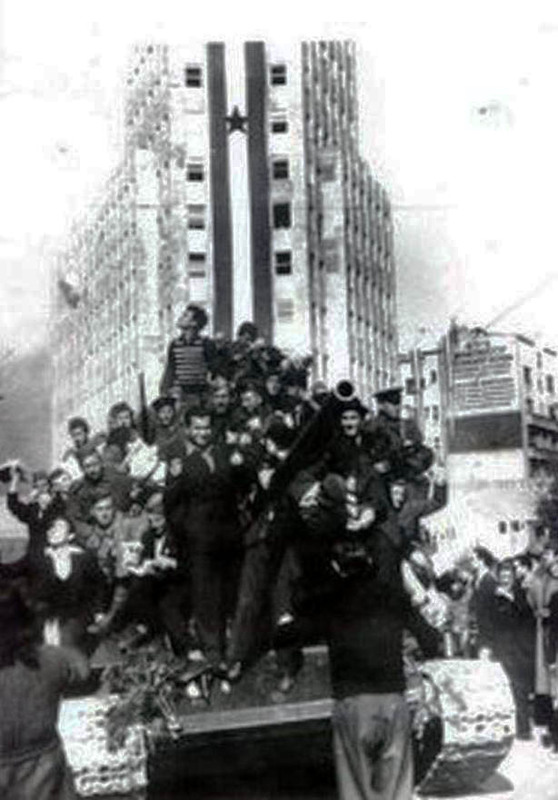 "History has proved that the Yugoslav peoples are brave peoples. 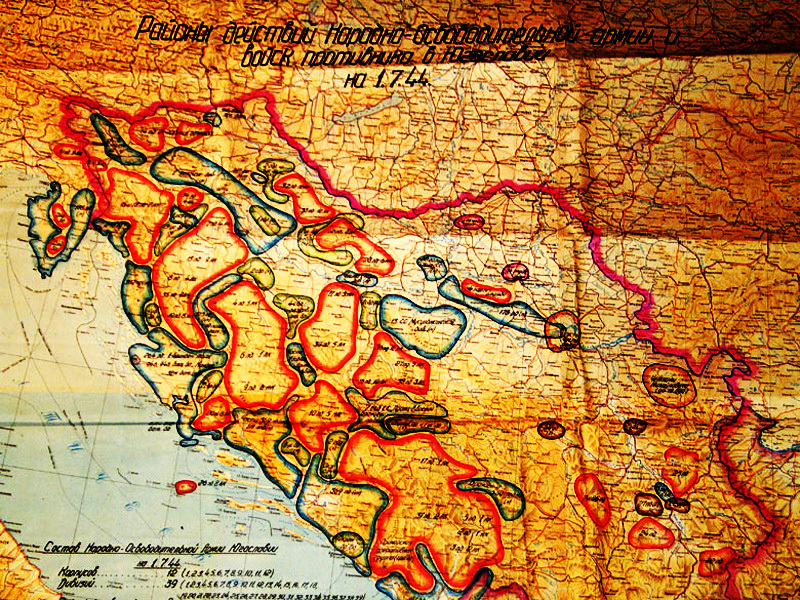 We consider the Yugoslav peoples as fraternal peoples. " 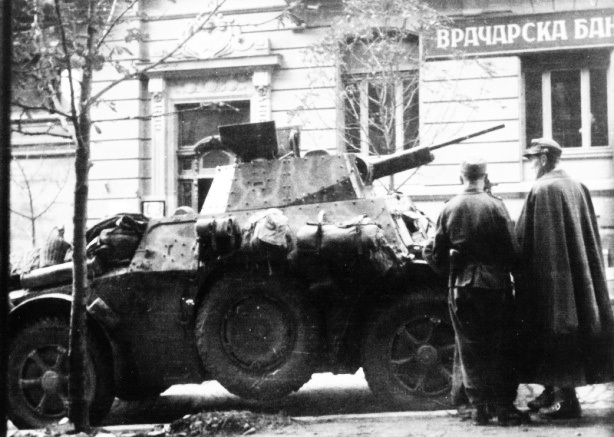 By the end of September 1944 the troops of the 2nd and 3rd Ukrainian Front defeated the enemy on the southern wing of the Soviet-German front. 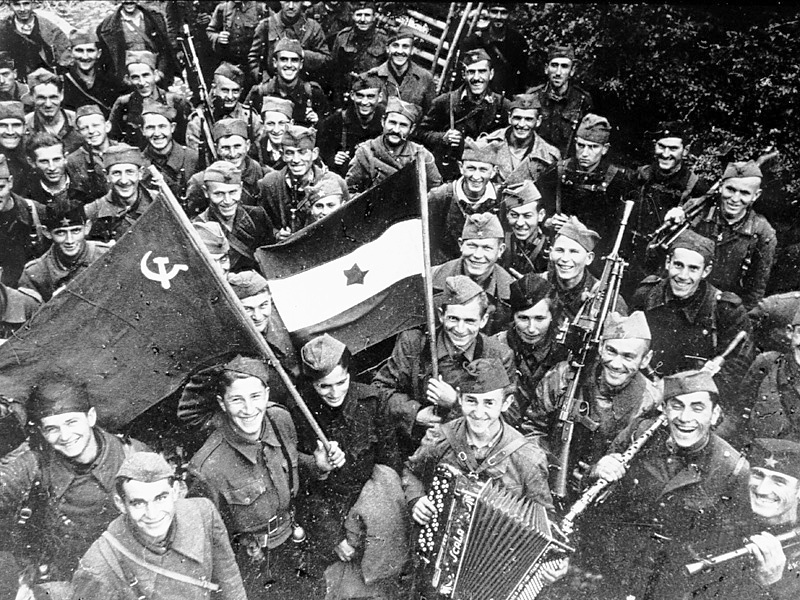 These troops reached the Yugoslav border and crossed the Danube. 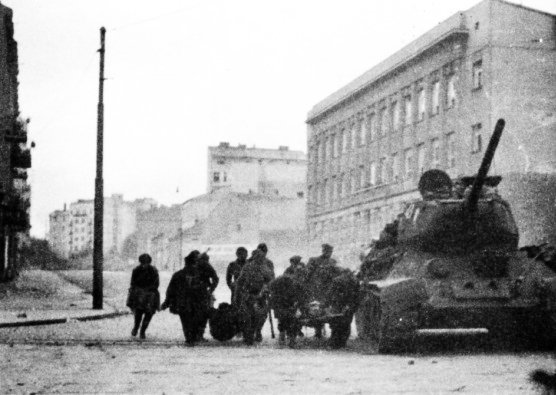 In the offensive zone, the 46th Army captured a beachhead in the town Turnu - Severin. 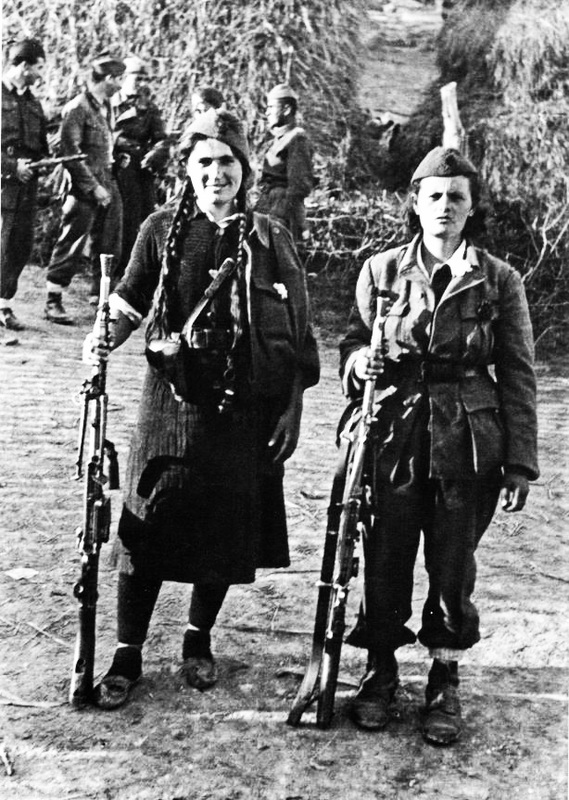 Her This opened the way to the People's Liberation Army of Yugoslavia (AVNOJ) to help. 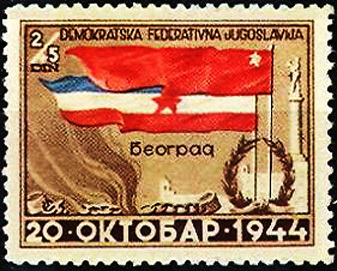 In the second half of September 1944, the Red Army entered the territory of Yugoslavia under an assistance pact between the Soviet Union and Yugoslavia. 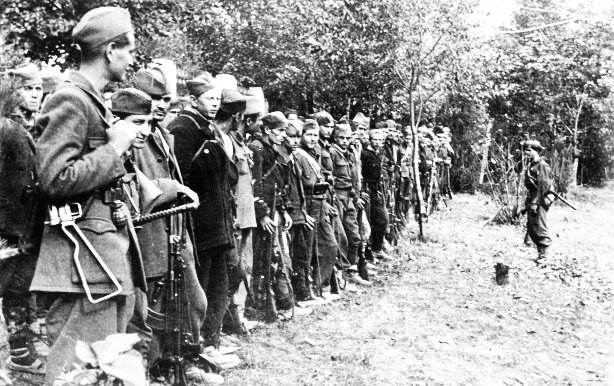 Later, on October 5, they signed an agreement on joint actions of AVNOJ and the Bulgarian troops. 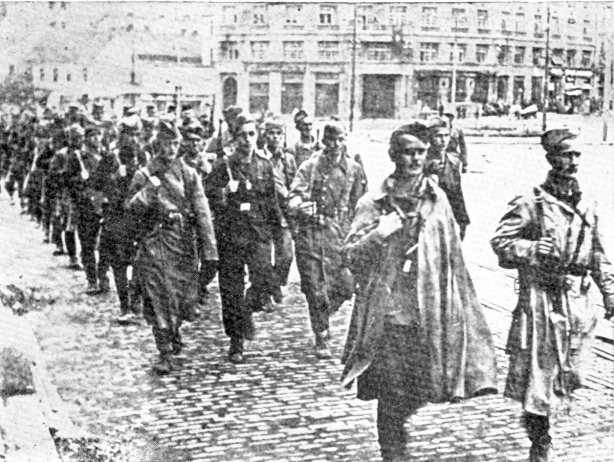 In accordance with the plan of operations for the main lines of attack the 46th Army entered (Lieutenant General Ivan T. Shlemin) to Belgrade before together with the 2nd Ukrainian Front and the 57th Army (Lieutenant General N. Hagen), the 3rd Ukrainian Front, with air support , the 5th and the 17th Air Army (Colonel-General SK Goryunov and VA Sudets), the Danube Flotilla (Vice Admiral Gorshkov SG, October 12 - Rear-Admiral GN Bachelor) and the Yugoslav - 1st Army Group of General P. Dapchevicha (1st Proletarian, 12th Army Corps). 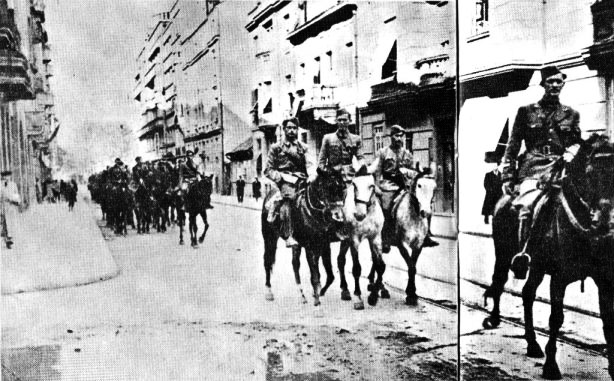 In addition, the 13th and 14th Yugoslav Army Corps of General Staff of AVNOJ were in Macedonia; and the 2nd, 1st and 4th Bulgarian Army. 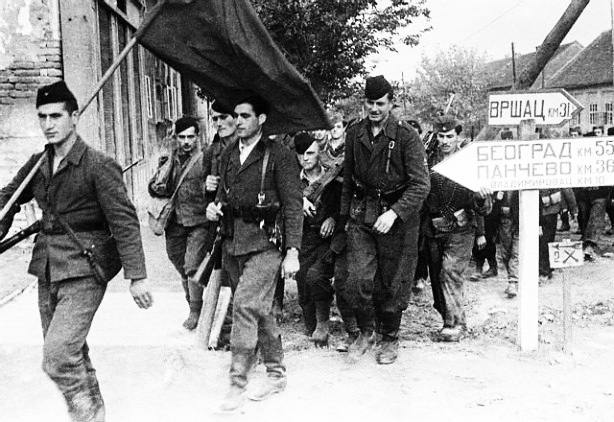 The plan was, the enemy in Belgrade to dismantle (part of Army Group "F") and to liberate all parts of Serbia. 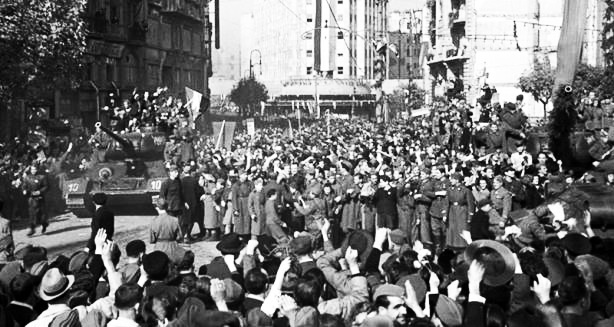 At the same time it was planned to prevent the German Army Group "E" on the withdrawal from the south of the Balkan Peninsula. 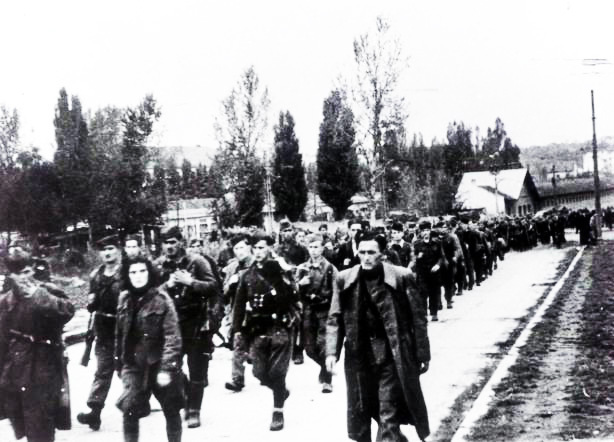 The Soviet, Yugoslav and Bulgarian forces consisted of a total of 660,000. 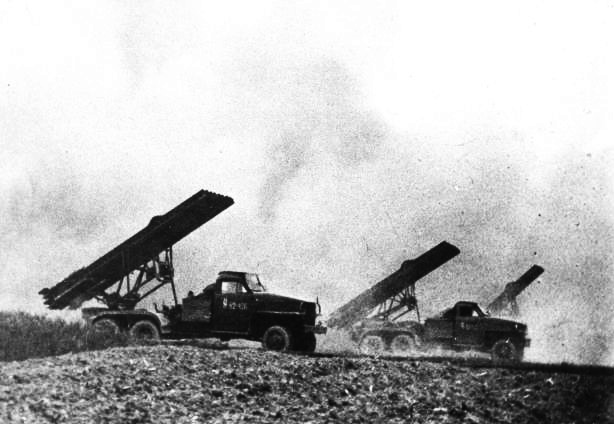 Man, 4477 guns and mortars, 421 tanks and assault guns, 1250 aircraft. 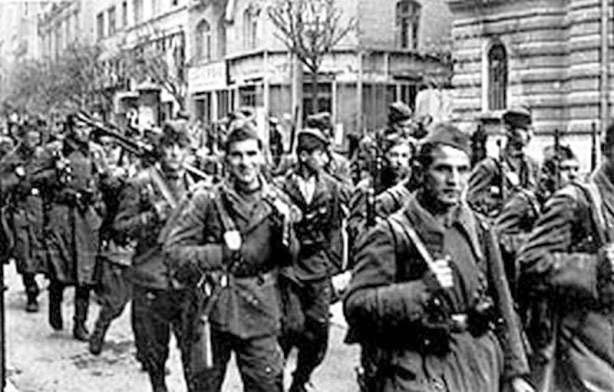 In the eastern part of Yugoslavia they were offset by 150,000 men of the enemy, and 2130 guns and mortars, 125 tanks and assault guns, 352 aircraft and 74 warships. 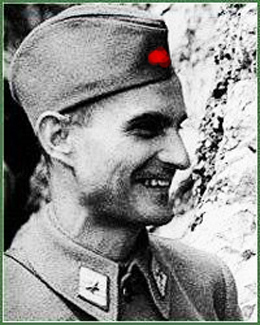 Since the beginning of the operation played the 57th Army, the 4th Motorized Guard Corps lieutenant general VI Zhdanov, the main role. 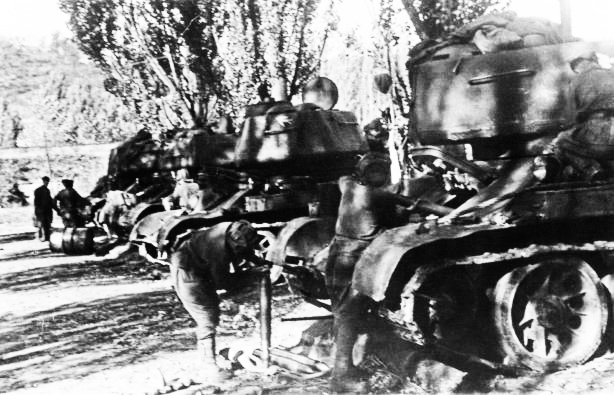 On the first day, 28 September, they broke through along with the 13th and 14th Corps of AVNOJ the border defense line of the enemy. 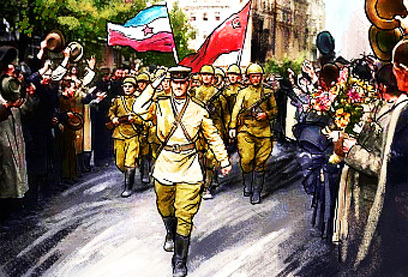 By overcoming the Serbian Carpathians they reached on October 8, the Morava River, crossed it and occupied the right bank near the village of Velika Plana. 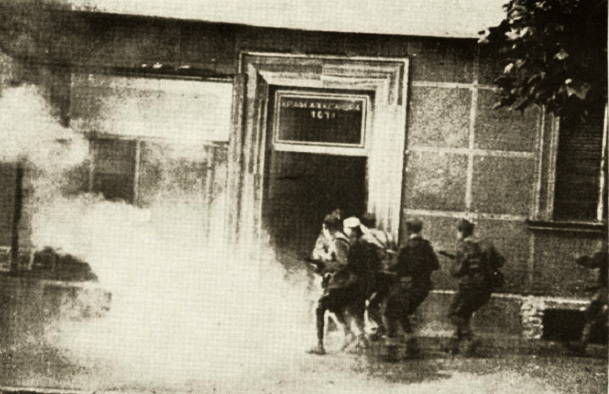 After the enemy's resistance had been put out of action, the attack on Belgrade began. 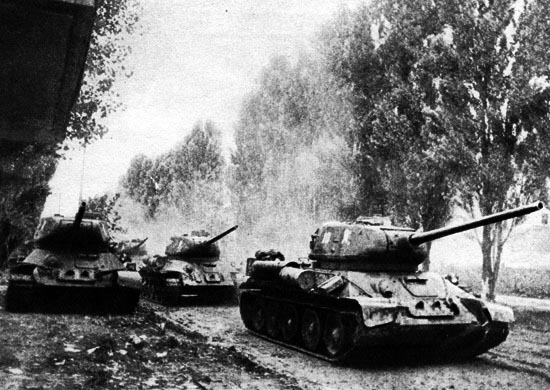 On October 12, reached the tanks of the Red Army, together with units of the 1st Proletarian Corps of AVNOJ with air support the settlement Topola. 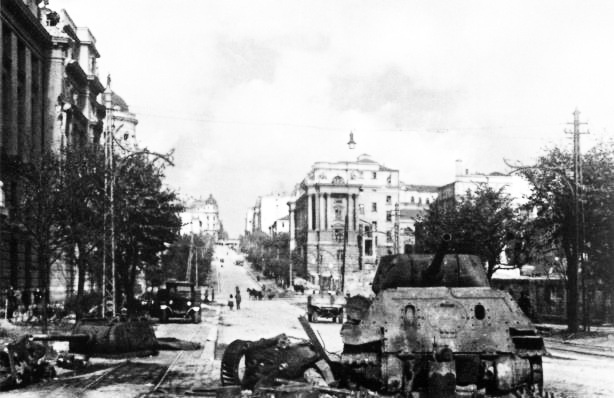 This paves the way to the capital from the south to the enemy was cut off. 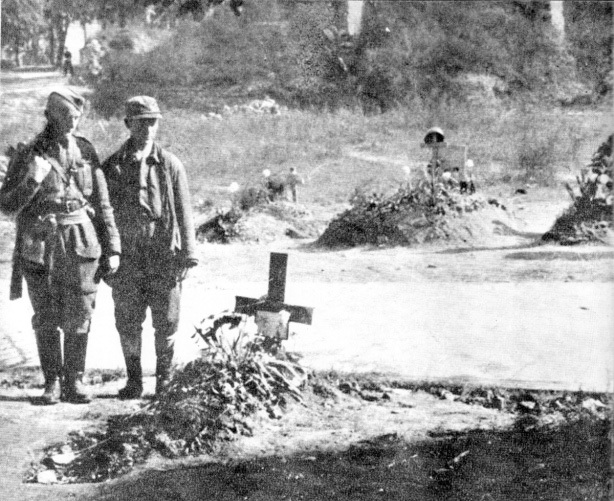 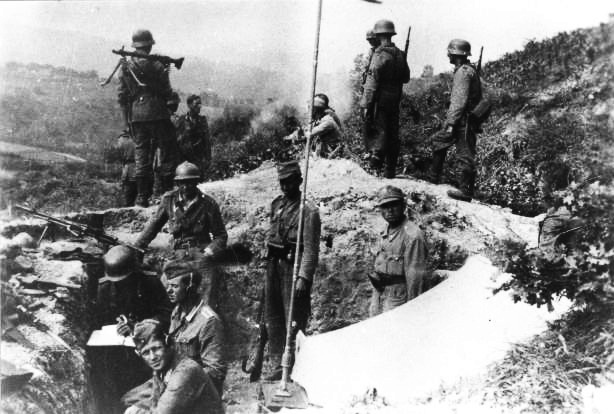 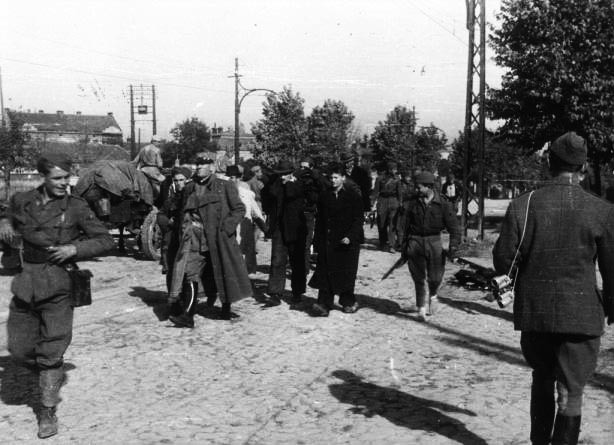 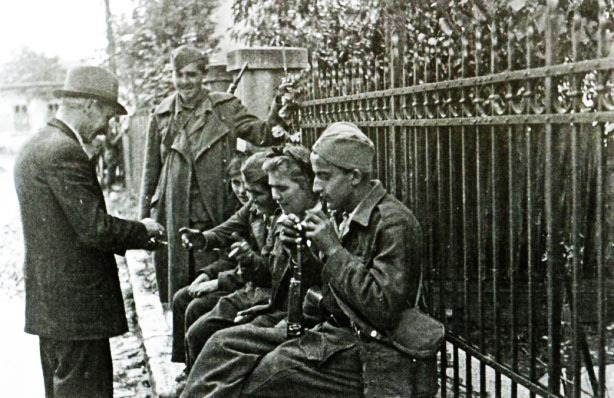 Two days later, the troops of the Yugoslav soldiers reached - without encountering serious resistance of the German troops - the southern outskirts of Belgrade. 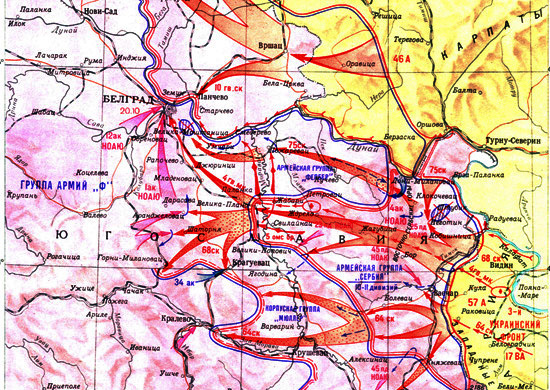 The 3rd Ukrainian Front circled the enemy forces that were centered southeast. 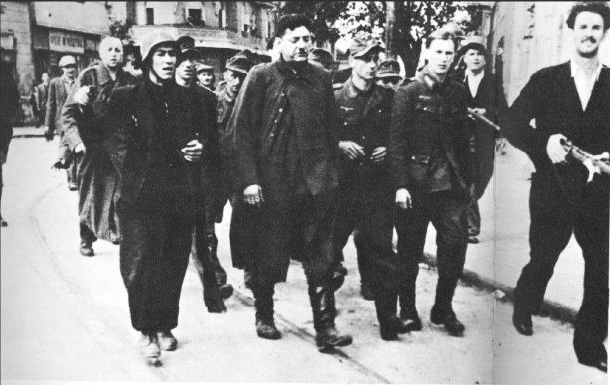 Marshal Tolbukhin prevented the connection with the Belgrade garrison. 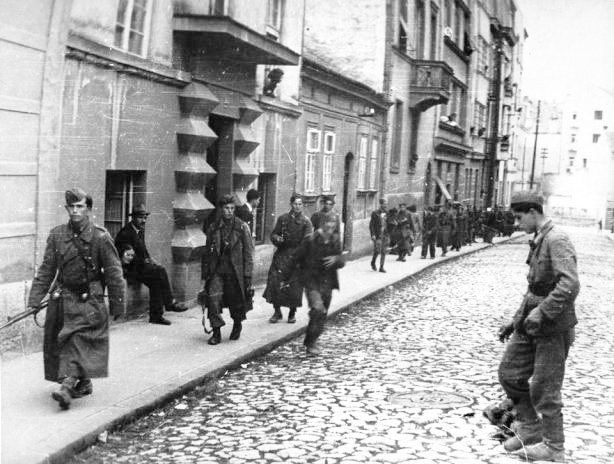 His troops attacked the enemy with the right flank of the 57th Army divisions from all sides and defeated 13 thousand soldiers and officers. 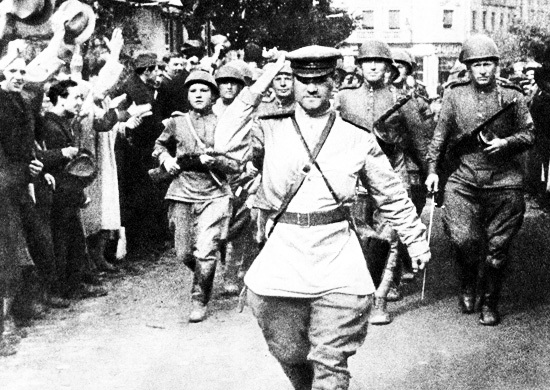 On October 19, 8 thousand of them lay down their arms and were capture, while the remainder was trounced. 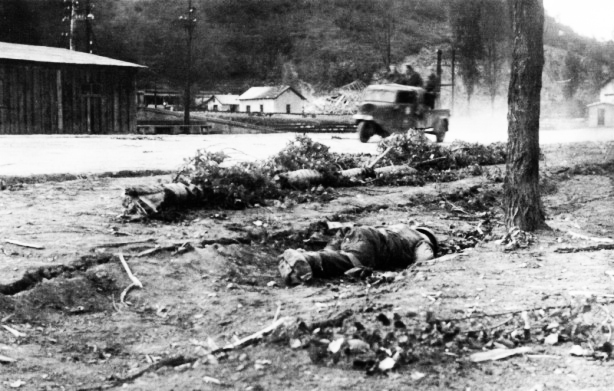 With the help of the Yugoslav army major settlements were occupied, in particular the crossroads Gornji - Milanovac - Kragujevac - Krusevac. 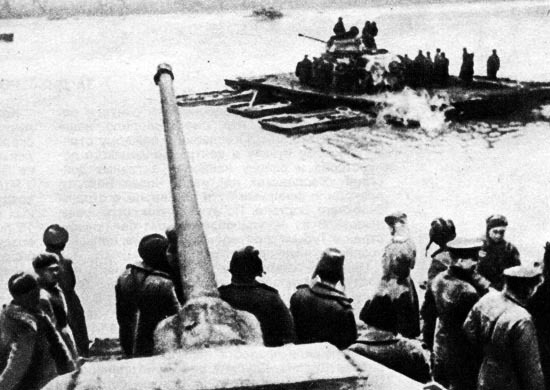 In all phases of the fight, there was active support from the aircraft and the Danube Flotilla - air, naval artillery fire. 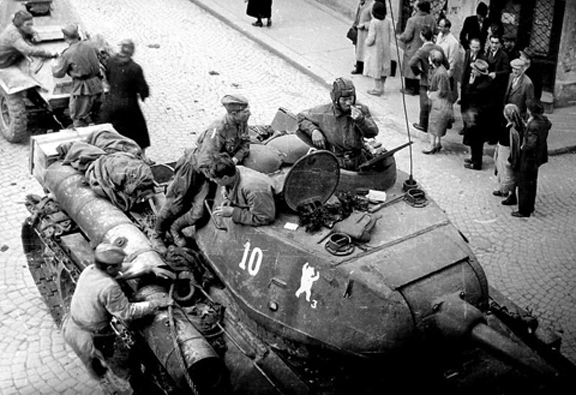 The assistance consisted in the transport of military equipment and transportation of ground troops. 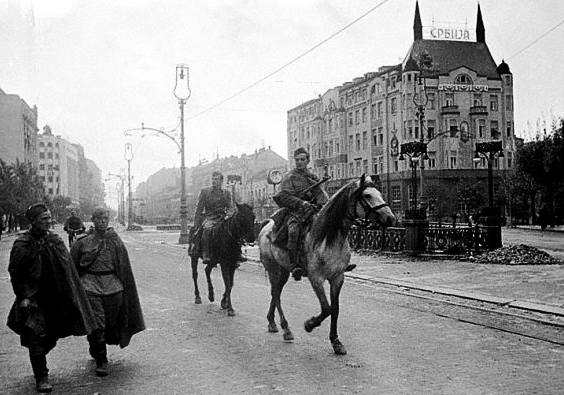 It is also worth the offensive forces of the 46th Army (the 10th Guards Rifle Corps). 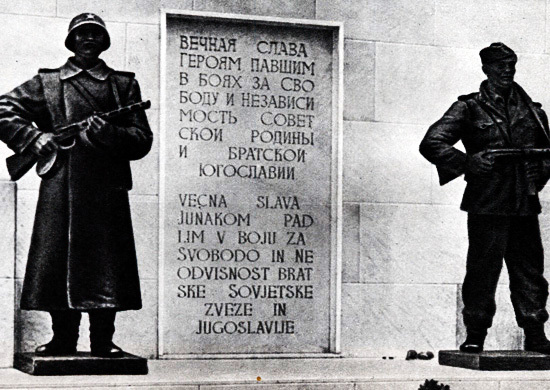 On the 40-kilometer section of the Danube forces were pulled together - in particular 10 km north-east of Belgrade. 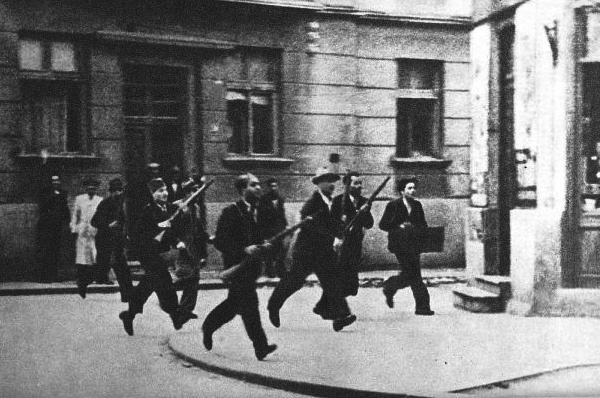 Thus requirements for a strike in the city were created. 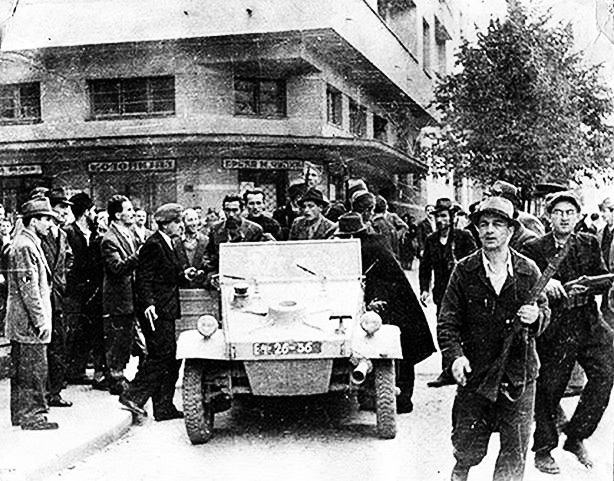 The struggle for the liberation of Belgrade started on 14 October. 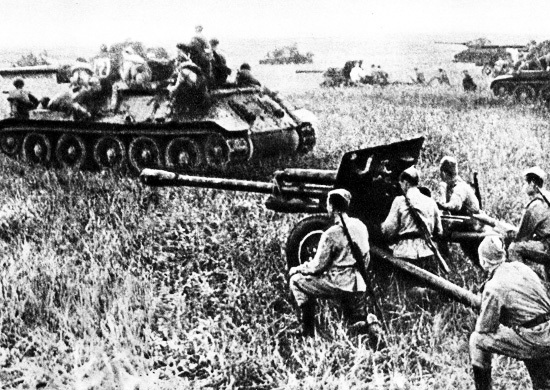 On this day, broke through the Soviet and Yugoslav compounds with artillery fire the outer defense ring. 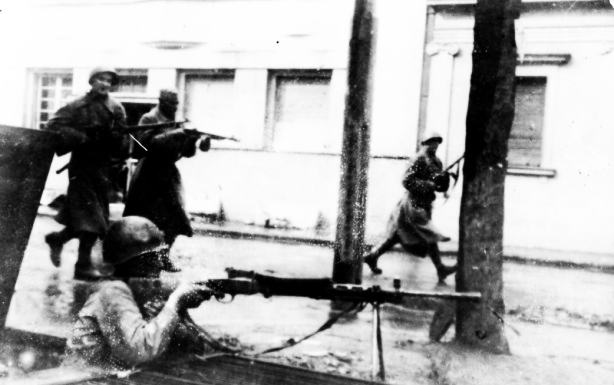 In the city, the liberation dragged on through fierce street fighting. 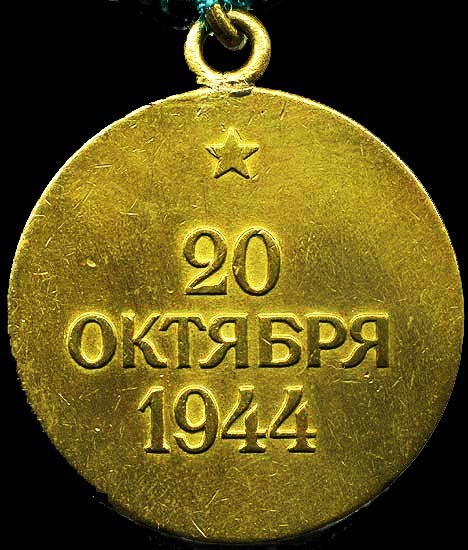 On October 20, the armored Danube flotilla cut off the enemy's escape routes from the crossing of two rivers Danube and Sava. 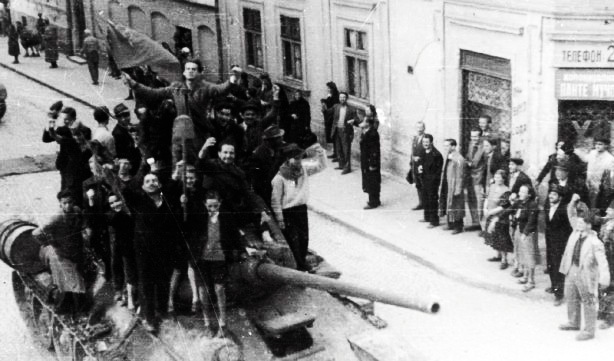 Shortly thereafter, the resistance of the Belgrade garrison was finally broken. 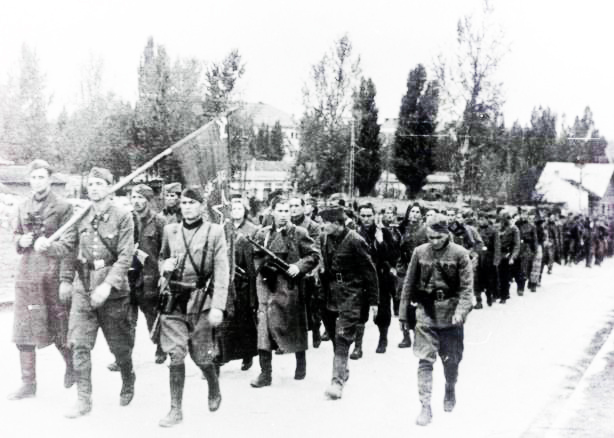 In pursuit of the enemy the Soviet troops crossed the Sava River and reached the area of ​​Rum (60 km north-west of Belgrade). 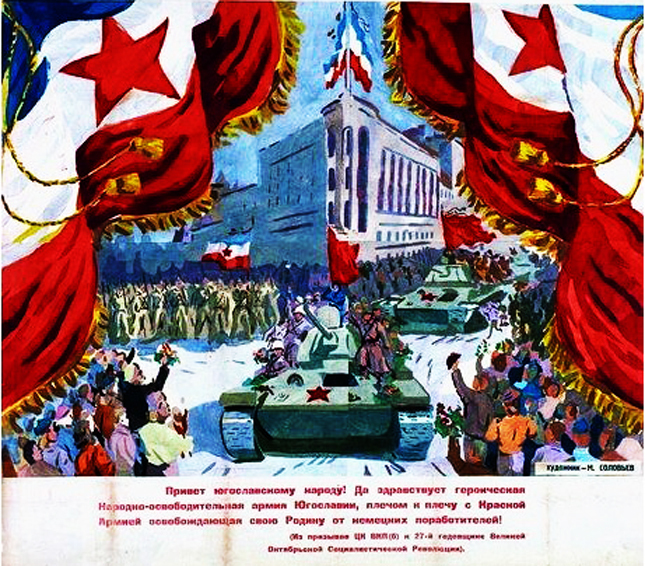 The Yugoslav People's Liberation praised the operation of the Red Army. 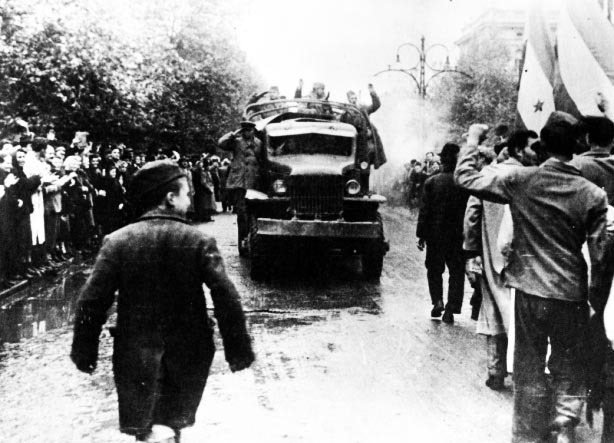 For courage and bravery in the battle for Belgrade more than 2,000 Soviet soldiers and officers were awarded orders and medals Yugoslav, presented by the Bureau of Anti-Fascist National Liberation Army of Yugoslavia. 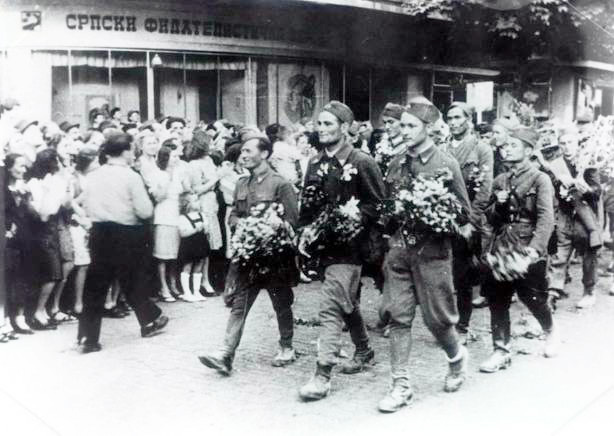 Another 13 soldiers was declared a national hero of Yugoslavia. 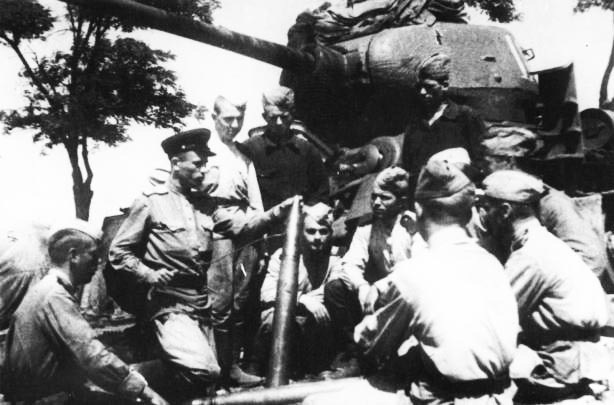 Among them, the commander of the 4th motorized Guard Corps, Lieutenant General VI Zhdanov, the commander of the 73rd Guards Rifle Division, Major General S. Kozak, Major VA Ulisko, Captain 3rd rank GN Okhrimenko, senior lieutenant P. Dmitrienko, IA Bulkin, Monogadze AG and other. 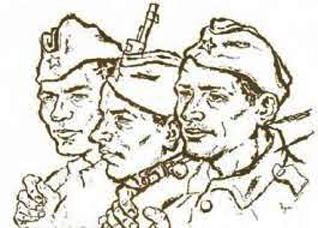 In return, the Soviet Union has 300 soldiers and officers of the People's Liberation Army of Yugoslavia awarded orders and medals. 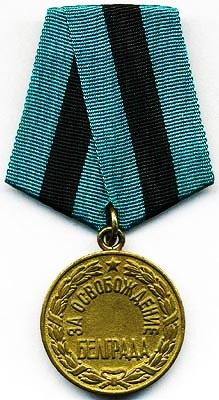 The twenty most respected units and formations were given the honorary title "Belgrade". 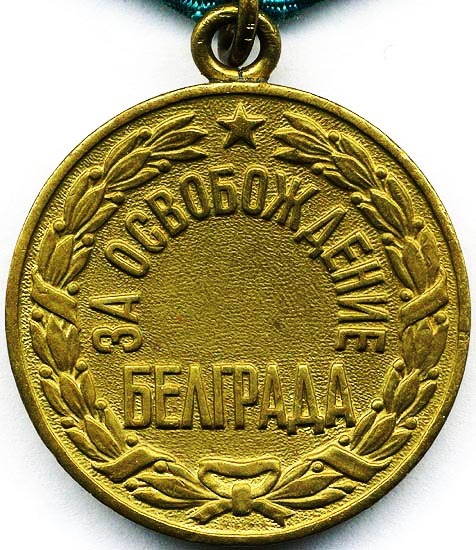 The medal "For the liberation of Belgrade" (Russian Медаль "За освобождение Белграда") was a Soviet award during the Second World War as part of the Belgrade-based operation that led to the conquest of Belgrade by the Red Army. 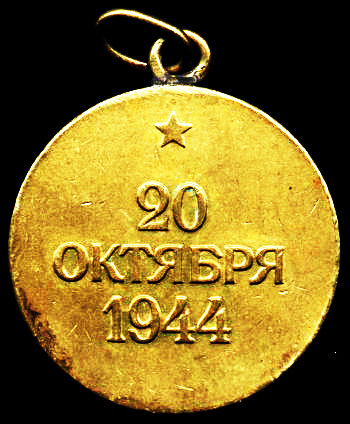 The award took place on 9 June 1945 by comrade Josef Stalin. 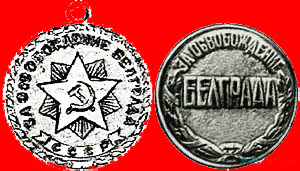 The Liberation of Belgrade Medal was awarded to c70,000 Soviet and allied service personnel who took part in the battle of Belgrade.